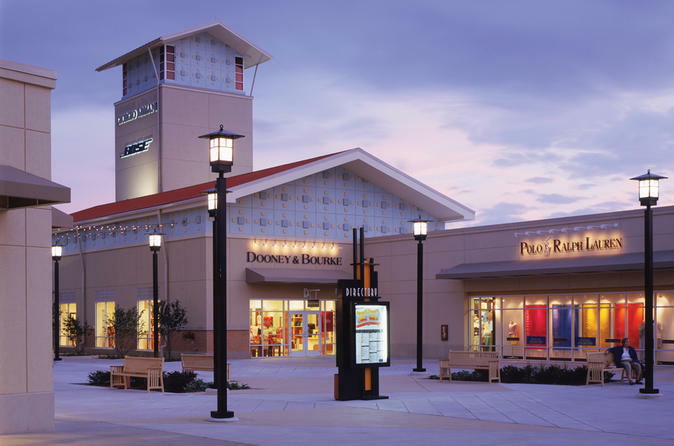 Chicago Premium Outlets is the premier shopping destination in the Chicago metro area. Home to over 140 stores, Chicago Premium Outlets features international stores and America's top designer brands at discount prices. Find something for everyone on your shopping list at such stores as Nike, Lacoste, Michael Kors, Polo Ralph Lauren Factory Store, Armani, Calvin Klein, Kate Spade, 7 for All Mankind, and dozens more. Before the transfer, it is recommended you join the free Chicago Premium Outlets VIP shopping club and receive exclusive member benefits including shopping coupons and much more. Chicago Premium Outlets is located 36 miles (58km) from downtown Chicago. The transfer to the outlets will take approximately 45 minutes to an hour, depending on traffic. This round-trip transfer will start with a hotel pick-up at your preferred time, followed by 5 hours of leisure for shopping at the outlet mall. Six hours later from your pick-up time, your driver will be waiting for your in front of the Adidas store at the Premium Outlets. The service will end with drop off at your hotel. It will be a total of 7 hours for this activity (2 hours for round-trip transfer plus 5 hours for shopping). If you wish to spend more time at the mall, please advise during your reservation process. Changes will not be allowed on the day of the transfer.